Have you long dreamed of learning how to crochet but lack the courage of showing-up at a crochet for a long time trying to hook, but you lack the courage to present yourself at a crochet class for fear of not being able to keep up with the others? And what if you were told that you could take a course at home, in the comfort of your own home, in your own living-room, whenever you want, at whatever time you want, for free and at your own pace? That you can stop the person who's teaching you how to crochet as often as you want without hindrance and without disturbing the people around you? That you can make mistakes and repeat or start over as many times as you'd like. Would all these reasons give you the courage to finally get "hooked" on crocheting? Do you dare to get over all your fears to fulfill your wish to start this beautiful hobby that would allow you to make tons of beautiful things for you and all your closest loved ones? 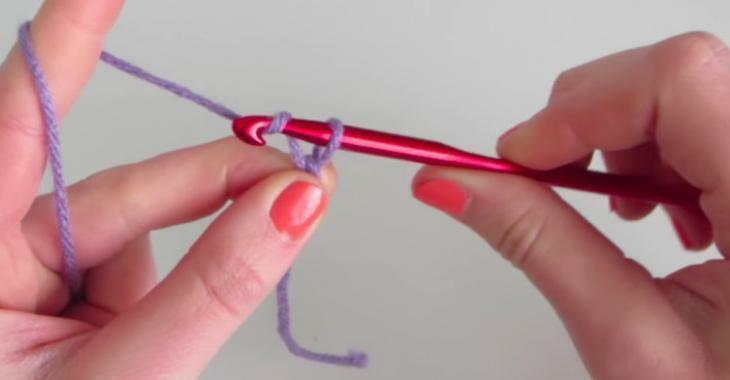 And once you've mastered these 3 basic steps, you can find more tutorials on YouTube to learn more crochet steps and get your new favorite pastime of crocheting started! You will see, even if the video is not in your language, you can just watch and learn! In the second video, you will discover ideas to get organize once you are well equipped!